My wife has a close friend who suffered a stroke some time ago, and sadly she lost much of the mobility in the right side of her body. Over a year later, there are encouraging signs of improvement, but it remains a long road to recovery. We obviously keep information on what products to recommend to customers who are looking for natural treatments for stroke patients that could help improve their post-stroke symptoms or prevent a recurrence. However, we thought that it’s about time that we compiled all this disparate information into a more meaningful document that might be of more use to stroke sufferers and their carers alike. Strokes, sometimes called “brain attacks”, are one of the leading causes of death in the world and interestingly cause more severe long-term disabilities than any other disease. These disabilities include paralysis, speaking and thinking impediments, and emotional issues. Stroke symptoms vary depending on the part of the brain that is affected and the extent of the damage, however, the onset of a stroke is typically very sudden. Because a stroke damages the brain, a sufferer may not recognise that they are having a stroke, nor may the people around them, for that matter. Face – one side of the person’s face, often visible in the mouth or the eye, may appear drooped and there may be a lack of control of the facial features. Arms – the person may not be able to lift one or both arms as a result of numbness or weakness. Speech – the person may not be able to speak, or their speech may sound slurred or incomprehensible. Partial or complete paralysis, particularly in one side of the body. A severe and debilitating headache. Ischaemic Stroke occurs when a blood vessel supplying blood to the brain becomes obstructed, accounting for around 90% of all stroke cases. Hemorrhagic Stroke occurs when a weak blood vessel supplying blood to the brain ruptures, mainly caused by unmanaged high blood pressure. 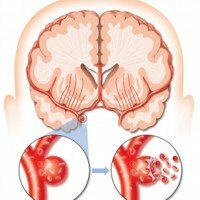 Transient Ischaemic Stroke is caused by a temporary clot in a blood vessel supplying blood to the brain and is sometimes called a mini-stroke. There are many natural treatments for stroke patients that can be used to both reduce the risk of and manage the symptoms of a stroke. This is number one on the list. A healthy diet can reduce the risk factors of a stroke or a recurrence such as high cholesterol, high blood pressure, being overweight and diabetes, which in turn can reduce the risk of another stroke. Diet and nutrient has an effective role in prevention and control of the risk of stroke. The study revealed that adherence to the improvements in nutrition and diet canreduce the incidence of stroke. Higher antioxidant, vitamins, potassium, calcium, vegetables, fruits, whole grain intake, and adherence to the Mediterranean dietor DASH diet can lower stroke incidence. This point is a tie for first place on the list, as elevated stress levels are associated with a significantly increased risk of stroke. Practice relaxation techniques to reduce tension. This meta-analysis demonstrates perceived psychosocial stress to be an independent risk factor for stroke, albeit of relatively modest magnitude. A number of hypotheses can be proposed to explain the association, however the first step is to demonstrate that a relationship exists, which this study achieves. The next steps will investigate potential moderators of the relationship, mediating mechanisms underpinning the association, and demonstration of causal links to explain the observed association. Acupuncture is a commonly used therapy for stroke symptoms such as paralysis, speech impediments, swallowing difficulties and depression. Studies indicate that patients recuperate quicker, function better in self-care and require less nursing and tend to undergo less rehabilitation therapy. Acupuncture is recommended by the World Health Organization (WHO) as an alternative and complementary strategy for stroke treatment and for improving stroke care. Clinical trial and meta-analysis findings have demonstrated the efficacy of acupuncture in improving balance function, reducing spasticity, and increasing muscle strength and general well-being post-stroke. In general, acupuncture during the acute stages of stroke recovery reduces infarct volume and neurological deficits. Ashwagandha, also known as Indian ginseng, has antioxidant properties that may prevent and treat stroke. These results indicate the interplay of antioxidant-antiapoptic pathways and the possible involvement of angiogenesis in the protective mechanism of WS while emphasizing the noninvolvement of one of the prime pathways of neurogenesis. Our results suggest that WS could be a potential prophylactic as well as a therapeutic agent aiding stroke repair, and that part of its mechanism could be attributed to its antiapoptotic and antioxidant properties. Ischemic stroke is a complex disorder that needs novel approaches aimed at its various facets. The combined neuroprotective and neuroregenerative potential exhibited by WS is one such strategy that might aid recovery after stroke by preventing cell death as well as stimulating repair. However, this is just the surface of WS’s potential as well the promise of neuroregenerative therapies in stroke. Scutellaria baicalensis is an important traditional Chinese herb that has been shown to be useful in the treatment of stroke. Ischemic stroke, producing a high mortality and morbidity rate, is a common clinical disease. Enhancing the prevention and control of ischemic stroke is particularly important. Baicalin and its aglycon baicalein are flavonoids extracted from Scutellaria baicalensis, an important traditional Chinese herb. In recent years, a growing body of evidences has shown that baicalin and baicalein could be effective in the treatment of cerebral ischemia. Scutellaria baicalensis, the most widely used herb, has been in use for thousands of years. Baicalin and its aglycon baicalein are the principal components found among other flavonoid derivatives in the roots of Scutellaria baicalensis Georgi. Abundant scientific evidence shows that the neuronal protective effects of baicalin and baicalein are related to anti-oxidant, anti-apoptotic, anti-inflammatory and anti-excitotoxicity effects, protection of the mitochondria, promotion of neuronal protective factors expression and adult neurogenesis and other factors. Various studies have focused on the anti-inflammatory, anti-oxidant, and neuroprotective effects of CBD and its positive effects in ischemic stroke. 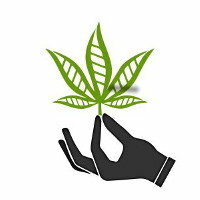 In the last 10 years, it has been possible to demonstrate that CBD has the following unique therapeutic profile: 1) a cannabinoid receptor-independent mechanism, 2) long-lasting cerebro- protective effect after ischemic stroke, and lack of development of tolerance. Moreover, CBD has almost no side effects, including psychotropic activity. Preliminary studies highlight the fact that the multifunctional actions of CBD may lead to benefits in more complex systems within the brain after ischemic stroke. CBD administration improved neurobehavioral function regarding strength, hemiparesis, coordination and sensorimotor performance as assessed at P15 and P38. MRI indicated that CBD did not reduce the volume of infarct but reduced the volume of perilesional gliosis. H+-MRS indicated that CBD reduced metabolic derangement and excitotoxicty, and protected astrocyte function. Histologic studies indicated that CBD reduced neuronal loss and apoptosis, and modulated astrogliosis and microglial proliferation and activation. CBD administration after MCAO led to long-term functional recovery, reducing neuronal loss and astrogliosis, and modulating apoptosis, metabolic derangement, excitotoxicity and neuro-inflammation. The benefits of Curcumin include its potent anti-inflammatory effects, alleviation of cognitive decline, and it reduces the risk of diabetes. In addition to being an anti-inflammatory is also an anti-coagulant that can reduce the formation of blood clots. The present study demonstrates that curcumin reduces ischemic stroke-induced brain damage and improves several functional outcomes. Our in vivo and in vitro studies suggest that curcumin has a profound regulatory effect on microglial responses, promoting M2 microglial polarization and inhibiting microglia-mediated pro-inflammatory responses. Here, the anticoagulant properties of curcumin and its derivative (bisdemethoxycurcumin, BDMC) were determined. Ginger decreases cholesterol levels, aids poor circulation and prevents blood clots. Cerebral ischemia is known to produce brain damage and related behavioral deficits including memory deficit and motor disorder. It has been reported that the middle cerebral artery occlusion occurred in 10–15% of stroke patients. In conclusion, our data suggested that Z. officinale possessed the protective effect against focal cerebral ischemia induced by the occlusion of right middle cerebral artery. It could attenuate the memory impairment, neurodegeneration, and brain infarct volume in this condition. The cognitive enhancing effect and neuroprotective effect of Z. officinale appeared to show almost the same magnitude as the positive control groups used in this study..
Ginkgo biloba is the extract of the gingko or maidenhair tree and is used in Chinese medicine and dietary supplements. These findings suggest that ginkgo extracts might be useful as a preventive therapy or as a post-stroke treatment to reduce the damaging effects of stroke. Studies have found that ginseng extract boosts the recovery of neural damage and stimulates the formation of new neurons. Various mechanisms involving ginseng’s neuroprotective effects in stroke have been proposed up to this point that are basically focused on maintenance of homeostasis, anti-inflammation, anti-oxidative stress and anti-apoptosis. Green tea contains plant nutrients called flavonoids, which can help decrease cholesterol and blood pressure and is showing promise in the prevention of stroke. A large number of studies have also proposed biological mechanisms by which tea or tea components may reduce the stroke risk. Green tea is a safe and cheap beverage. Its consumption should be encouraged because it could potentially serve as a practical method for stroke prevention. Omega-3 fatty acids have been proven to offer positive benefits, including treating stroke. Fish oil, especially from oily fish like salmon, are very high in healthy fatty acids and has an ideal ratio of DHA, EPA and ALA. The dietary supplementation of n-3 PUFAs (Omega-3 polyunsaturated fatty acids) can decrease the volume of cerebral infarction partly by adjusting antioxidant enzymes activities and partly by working as an antioxidant directly . n-3 PUFAs may act as an antioxidant in reducing cerebral lipid peroxides and play a role in regulating oxidative stress through the increase of oxidative burden and the improvement of antioxidative defense capacity. Taurine is an endogenous amino acid which exhibits neuroprotective and antioxidative properties and reduces the level of inflammation and regulates intracellular calcium concentration. In ischemic stroke, a pathological brain condition, taurine is released in the extracellular space resulting in a decrease in the concentration of intracellular taurine. The decrease in intracellular: extracellular taurine ratio attenuates the protective role of taurine and could potentiate neuronal damage during ischemia. The administration of exogenous taurine protects the neuropile in ischemic stroke, evident from numerous experimental reports. Various studies have underscored the importance of vitamin B supplementation in the management of acute strokes. Altogether, these meta-analyses suggest that B-vitamin supplementation compared with placebo protects patients with recent strokes against recurrence of vascular events, including strokes and myocardial infarctions. What Do I Do in Case of a Stroke? If you or somebody around you is experiencing a stroke, do not wait for the symptoms to abate, call an ambulance immediately. Such timeous action can be the difference between mild and severe long-term disabilities. We hope that you have enjoyed reading our article the natural treatments for stroke patients and welcome your comments and suggestions.